A battery recharger can cut down the cost of buying new batteries, drastically. 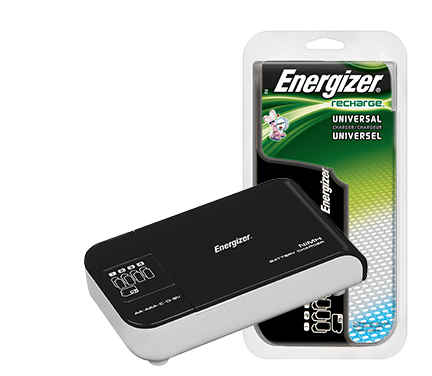 You’ll love the way the Energizer Recharge® Universal Charger can charge several battery sizes – AA, AAA, C, D or 9V. It’s the perfect charger for the family who uses all sorts of devices…and likes to save money.